A current limiting resistor should be used for driving an LED from a microcontroller’s I/O pin to limit the current through the LED. 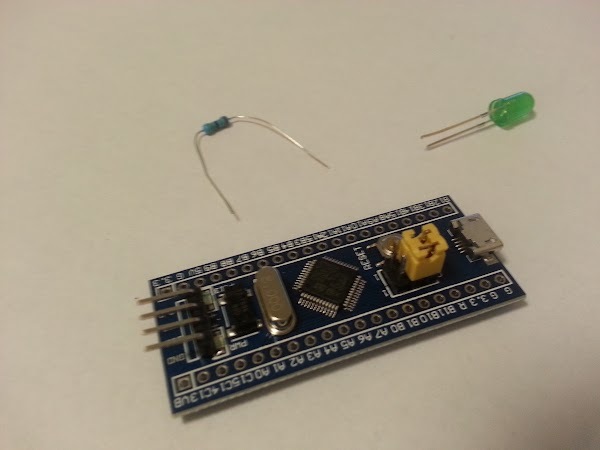 The max current value for an LED can be found in its datasheet. It is usually around 20mA. Another reason for using a current limiting resistor is that microcontroller’s I/O ports have a maximum I/O current rating. 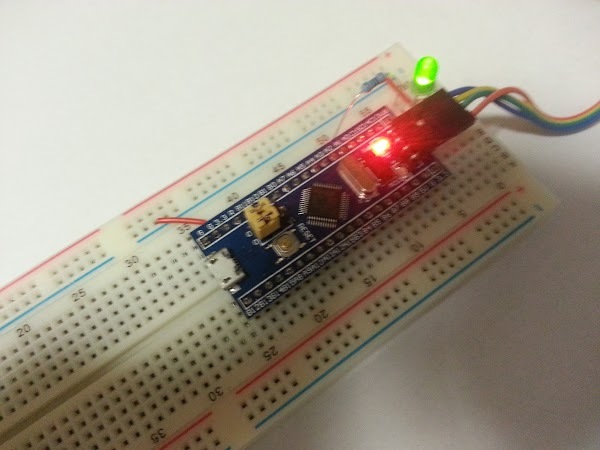 It can be found in a datasheet for microcontroller you use. For example, it is 25mA for STM32F103 (see “Table 7. Current characteristics” in datasheet). To calculate the value for a current limiting resistor, you just need to use your favorite Ohm’s law. Here is a circuit and calculations. “Vcc” is a power supply voltage (it is 3.3V in case of STM32F103). We assume that high level input voltage of I/O pin is equal to Vcc (which is not actually true, see section “5.3.13 I/O port characteristics” in datasheet). 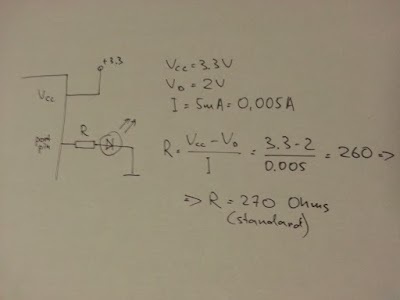 The desired current through the LED should be less than its max current value (usually around 20mA). I used 5mA because I wanted just an indication, not lighting. The formula told me that I should be happy with 260 Ohms. The closest standard resistor is 270 Ohms.